Evernote is my main tool for work and home. I’ve been using it for 5 years and love it. It can be tough for someone new to Evernote to get started with it. Here is a great article by an on-line friend of mine, Tim Stiffler-Dean, about how Evernote can be a little overwhelming at first and how to get over that. Here is also a great article, and video, from Evernote on getting started and my main Evernote page has ideas on getting started. I also told another on-line colleague that I would give him some tips on getting started with Evernote for his specific needs. 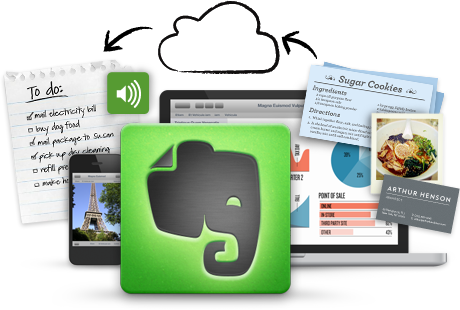 Evernote Trunk – apps that make Evernote even better.